On Veterans Day, CBS Sports Network will unveil “Triumph Games” a seven-day competition pitting 12 military veterans head-to-head in challenges of mind and body. Among the challenges are a triathlon, an obstacle course, a car race and America’s new favorite pastime—playing video games. Its producers tapped Frank Lee, PhD, director of Drexel’s Entrepreneurial Game Studio and the man responsible for skyscraping feats of video gaming in Philadelphia, to help put together a video game competition worthy of America’s finest. Lee’s guidance led the producers to select Blizzard, Inc.’s Hearthstone: Heroes of Warcraft, a head-to-head, turn-based digital card game that is one of the most popular competitions in the e-sports community. One of the other driving factors behind the decision was the game’s significant worldwide following. 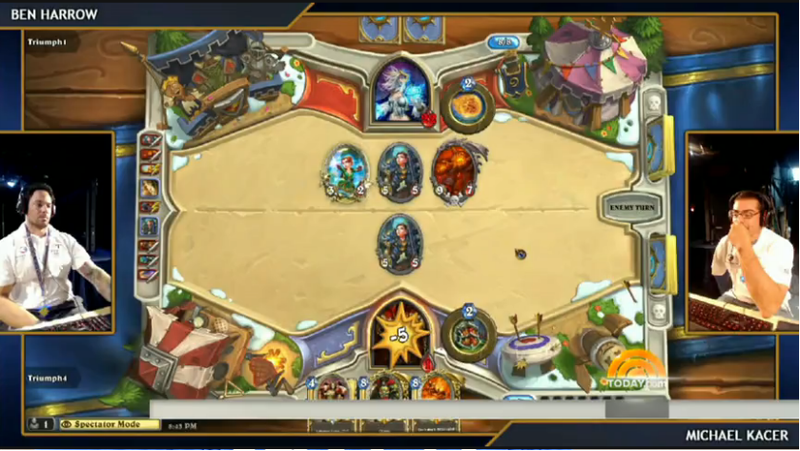 Some 30 million people have played Hearthstone since its release in 2014, and high-profile competitions are viewed by millions on Twitch’s live video game streaming channel. Triumph Games competitors went head-to-head in Hearthstone: Heroes of Warcraft—a free, online game played by millions worldwide. Lee sees his contributions to the “Triumph Games” as a way to thank veterans for their service and sacrifice, but also as a way to raise awareness within the game design industry about the importance of considering accessibility in their games. “Triumph Games” will air Nov. 11 on CBS Sports Network at 7 p.m. and 10 p.m.